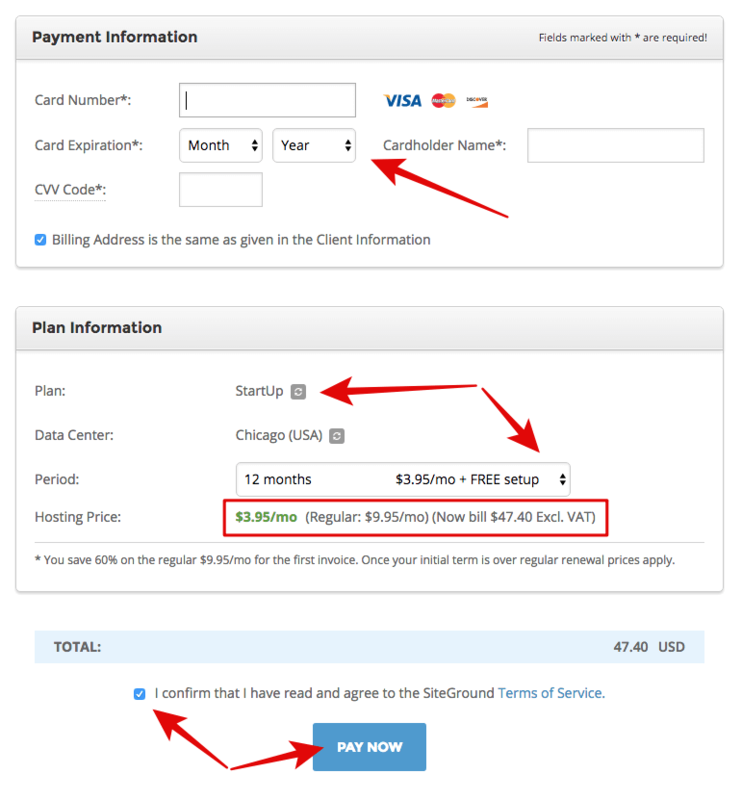 I update this post frequently as and when a SiteGround Special Offer becomes available. Be sure to bookmark it for future reference. If you don’t already know, I’ve been using and recommending SiteGround web hosting since 2015. I’m pleased to report that over the years I’ve experienced nothing but exceptional service from SiteGround, plus 100% uptime. For all of you newbies out there, 100% uptime meaning that my site has been online for 100% of the time, without experiencing any delays or downtimes, since I signed up in 2015. Over the years of running online businesses, I’ve tried many web host providers including – Bluehost, Hostgator, Dreamhost and HostMonster, but none have offered to me the level of service I’ve experienced with SiteGround. I spent 4 years with Bluehost, who were my previous host provider up until 2015 when I decided to switch to SiteGround. 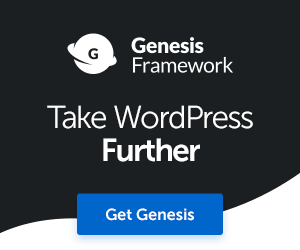 I won’t beat around the bush about this, but probably one of the most important building blocks’s for building any type of website, or blog, is finding and using a reliable web host provider. I recommend SiteGround and not just because I believe they are one of the best in the industry, but because they actually care about their customer’s. In addition, with SiteGround you get access to groundbreaking, state of the art hosting technology, rock-solid security, exceptional uptime, exceptional customer support, and all the rest of it. 70% Off your shared web hosting bill. Now the important bit you need to know. Whether you’re starting your first website or blog, or getting your online business up and running, here’s a deal you can’t afford to miss. 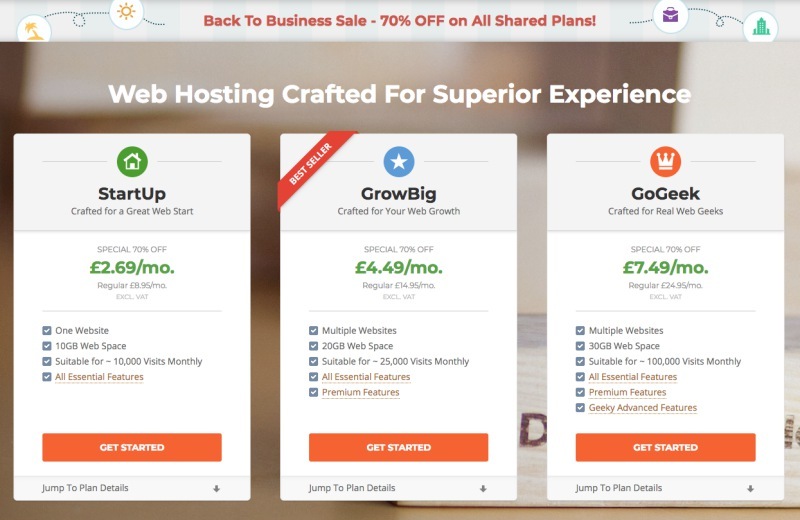 For a limited time only, you can save 70% on your shared-plan web hosting bill with SiteGround’s current promotion today. See below. This offer is running from 3rd of September 2018 and expires on 10th Sepetember. Don’t delay or miss out! To make the most of this special offer peeps, first go to SiteGround here. Next, hit the Sign-Up button on the homepage or the See Plans button. Here’s a snapshot of the SG homepage with the Back To Business sale offer. Now, select the plan most suited to your needs. 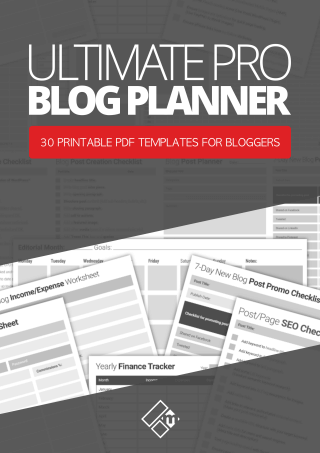 If you’re starting a brand new website or blog, I recommend starting with a very basic and affordable plan such as the Startup Plan. See image above for available shared plans. Please note: I want to stress that you really don’t need to waste your money purchasing a bigger plan if you’re just starting out, as you won’t need the additional resources. However, if you’re migrating an existing website or blog from another host, then choose a suitable shared plan to meet your website’s traffic and resources. Next, you’ll need to add some basic information such as email, password, name, address, company, etc. See image below. 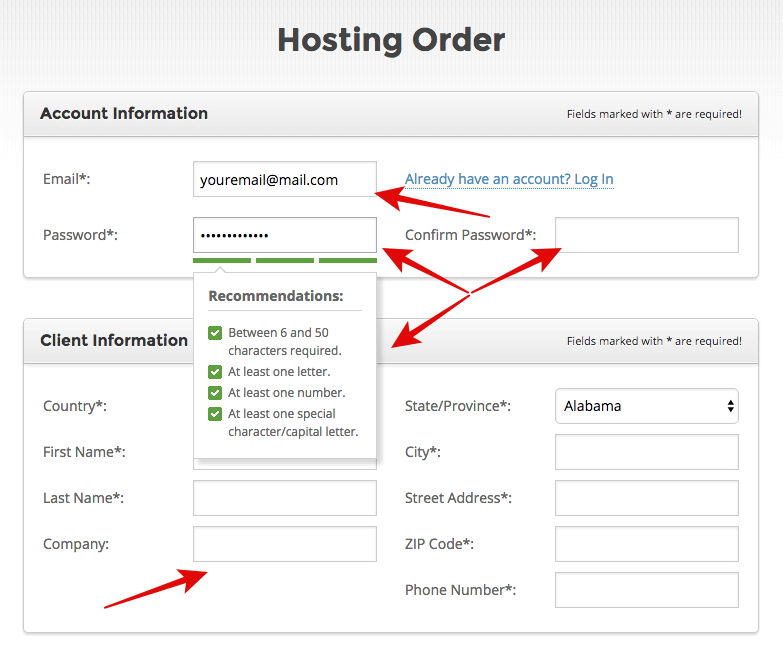 In the next step you’ll need to add your payment information and customize your web hosting plan information. See image example below. You may see a message at the bottom of the order form stating you are saving a special initial offer. The final step is to check that everything is in good order, check the total amount and tick the confirmation box before making your payment. You’ve just signed up for one of the best and most reliable web host providers in the business, and you’ve saved yourself some money at the same time. To make the process easier for you, I created a short step-by-step tutorial video below to help you get set up with SiteGround in just 10 minutes. The video is over a year old, however, the signup process hasn’t changed much. 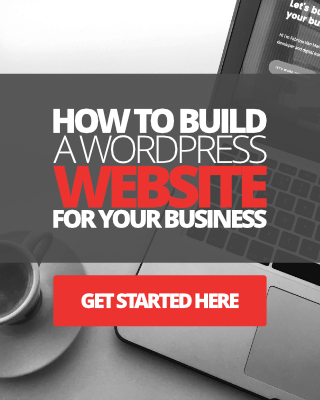 If you need help with creating and configuring your WordPress website with SiteGround please check out the following blog posts. Siteground VS Bluehost VS Hostgator. 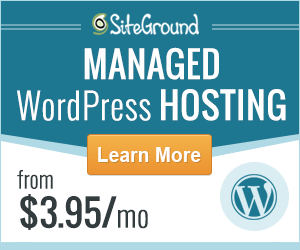 Migrating WordPress Website from Bluehost to SiteGround: My Experience. How To Create A Website For Your Business Using SiteGround. If you need advice or help with website design and branding. I can help you. Click this link to learn more about my WordPress design services. Affiliate Disclaimer: Please note that this post contains affiliate links to SiteGround web hosting services. If you click on an affiliate link and make a purchase for SiteGround hosting, I will be paid a small commission, at NO additional cost to you. I would like to thank your for your time and continued support. Read my full disclaimer here.